Everyone should be listening to New York City bassist William Parker’s albums on Aum Fidelity. They have reached a steady consistency: the bass tones always round and heavy; the personality and instrumental voice of each record always distinct; Parker’s musical and spiritual convictions always articulately reaffirmed. More than that, though, albums like Long Hidden are meant to be heard. Their gifts aren’t secrets intended for decoding by didactic jazz scientists. This is music for people who love to hear music — spilling from windows and cars, reflecting the movements and tones of everyday moments. Most jazz albums stake some claim about uplifting the spirit, but Parker’s albums have the warmth and weight to actually do it. Long Hidden finds Parker collaborating with a group of young (all under 23) Merengue musicians on a project inspired by the indigenous cultures of Middle America. Parker calls this group the Olmec Group, after the indigenous people who lived in the East Lowlands of Mexico from 1300-400 B.C. The group plays trance music. Basslines and horn figures breathe in and out in endless rounds, as the group recreates its own type of voodoo ritual. The instruments take turns coming out to danced and jump in pairs in the center of the music before tumbling back to the edge. The accordion of Luis Ramierez provides a warm wheeze to the rim of the recording — an ideal, and unusual, touch. The songs that don’t feature the Olmec group are equally transfixing. Parker performs three songs, all titled “Long Hidden,” unaccompanied on the 8-string Doson Ngoni, an African instrument that sounds like a low-tuned harp, and is played in the same rhythmic repetitions as a banjo. Played slowly, in hypnotic arpeggios, the Ngoni songs sound like shimmering, shadowy ballads. Conversely, when Parker speeds up the tempo and starts to play the instrument with the same clawhammer rhythm that bluegrass players like Ralph Stanley use, “Long Hidden” sounds like the gentle-voiced cousin of something you’d hear in the West Virginia woods. A musician of purpose, Parker makes sure the album’s firmest statement comes first, and from his first instrument. 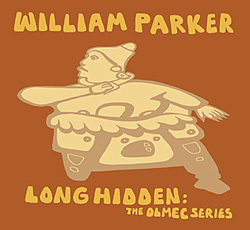 Long Hidden opens with a stunning solo rendition of the spiritual “There Is A Balm In Gilead,” which features Parker alone with his bass. Parker plays deep and slow, pulling enough body from the bass to make it its own physical entity. There are few musical instruments that are as immediately satisfying to hear as the double bass, and fewer who play it with as much determination and invention as Parker. It’s a mighty task for a bass to carry a song alone, but after hearing Parker play solo, you’ll want to hear nothing else. In the liner notes, Parker describes the band stopping at a Halal restaurant after the session to share a meal of fish, sweet potatoes, and greens. It’s that kind of meal that Long Hidden most resembles. Even as the audience for jazz grows ever more indeterminate, it’s encouraging to know that Parker is making music as nourishing as this.